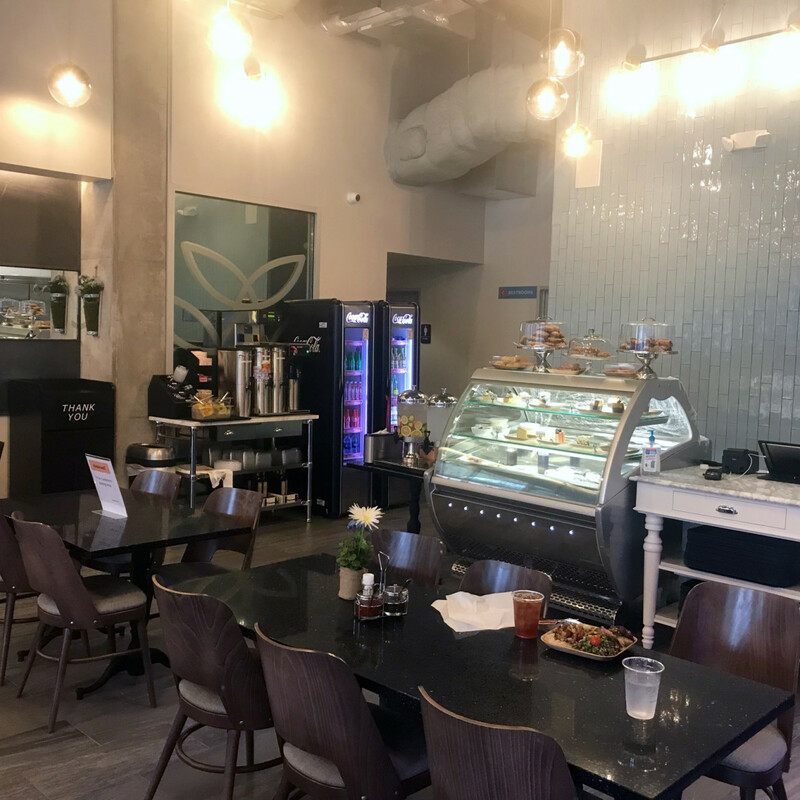 The Museum District is now home to a new fast-casual eatery that offers healthy options at affordable prices. 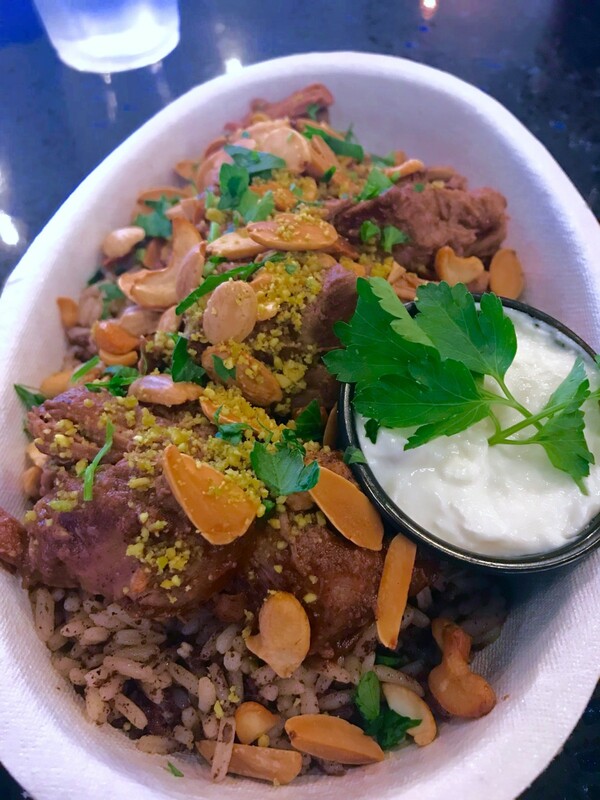 Fadi's Mediterranean Eatery recently opened in the Parc Binz building that's already home to Korean fried chicken restaurant Dak & Bop and Barnaby's Cafe. 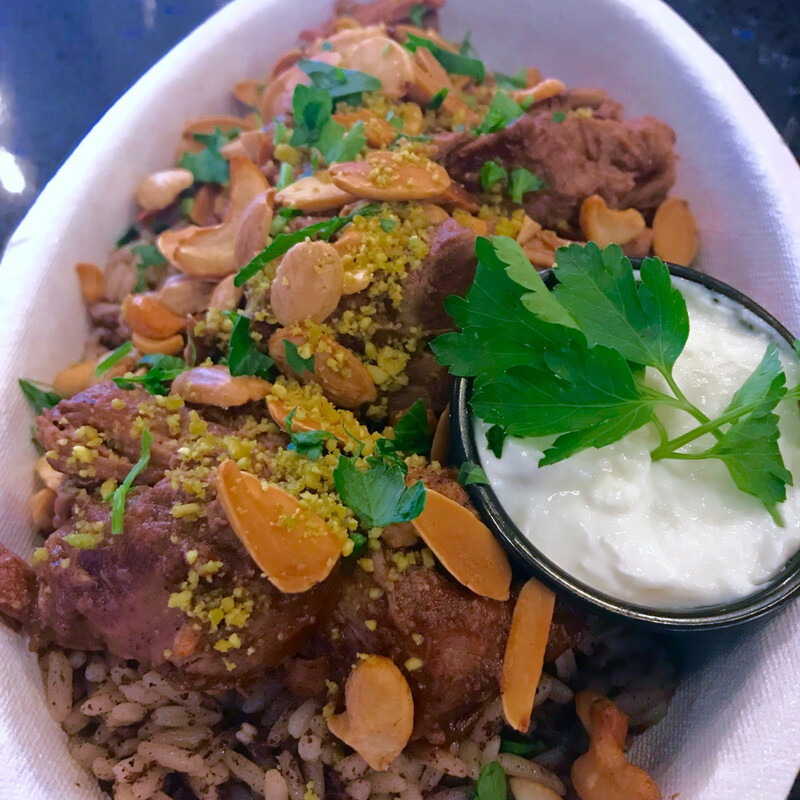 The restaurant offers a slight twist on the Fadi's Mediterranean Grill cafeteria concept that's better suited to the space's smaller footprint. 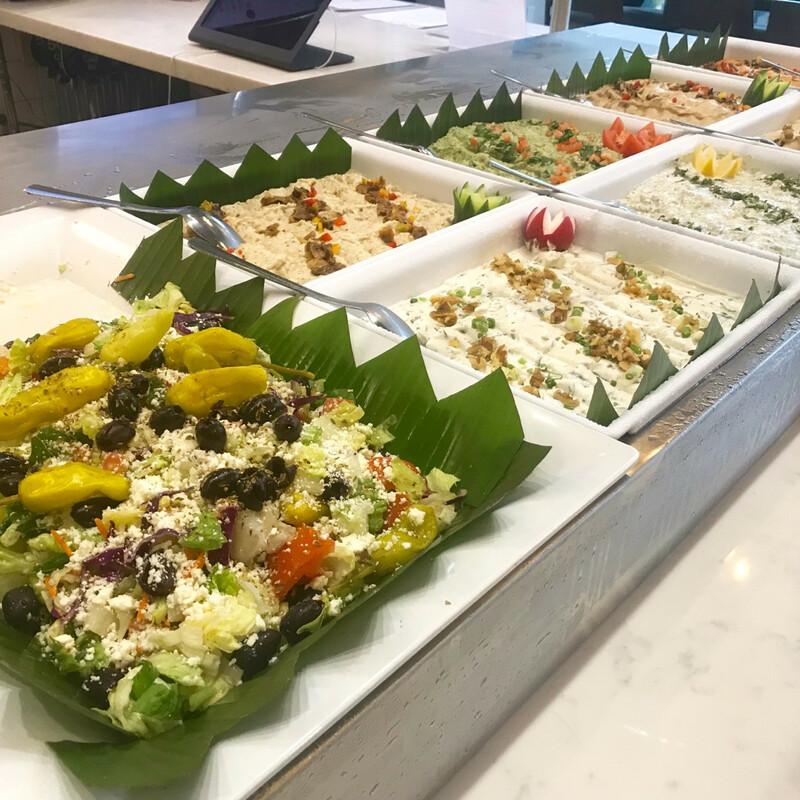 Instead of ordering combination plates or paying for individual sides, Fadi's Eatery is built around a salad bar. Diners may choose as many selections as will fit on a 10-inch plate for $10.99. Adding a kebab or wrap ups the price slightly to $13.98. Protein options are based on the most popular dishes at the other Fadi's. Choose from chicken, beef filet, beef kafta, or shrimp for a kebab; wraps are the familiar gyro, falafel, and veggie. 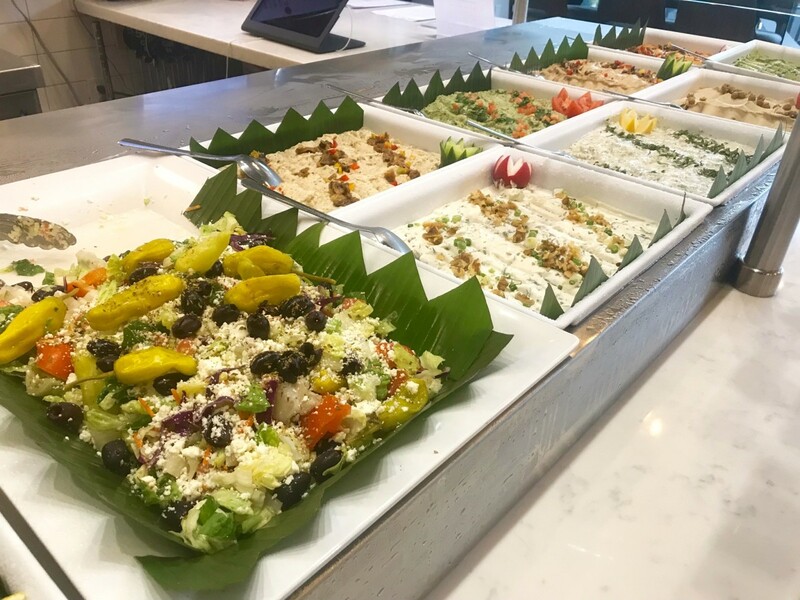 The salad bar features the same range of options as other Fadi's location: everything from different kinds of hummus and hand-wrapped grape leaves to roasted potatoes, sweet potatoes with raisins and honey, tabouli, and more. For those looking for something a little heartier, the restaurant offers five center of plate entrees ($9.49): cabbage rolls, kibbe with yogurt sauce, kouse (Lebanese stuffed zuchini) and grape leaves, sayadieh (baked fish over tumeric-seasoned rice), and baked lamb over rice. Desserts, side dishes, and pita bread pizzas round out the offerings. 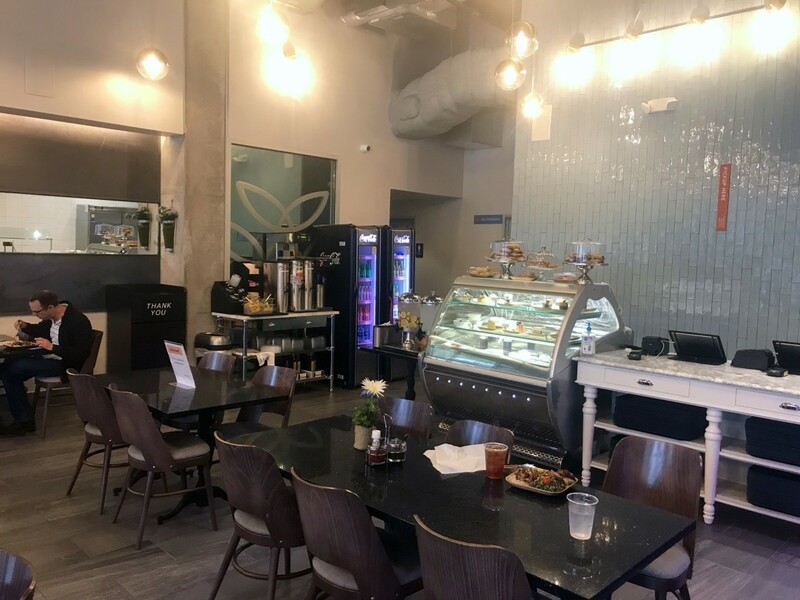 A separate children's menu is available, which is helpful considering the location's proximity to the Children's Museum. Overall, the design is clean and comfortable. The salad bar and kitchen dominate one wall, and large windows look out onto Binz. Once home to Bosta Kitchen, the only remnant of the former tenant is a chalkboard drawing of Parc Binz owner Christopher Balat's grandfather, whose post office inspired Bosta's name. Free garage parking on the first floor is available for patrons of all three of the building's restaurants. Fadi's Mediterranean Eatery; 1801 Binz St.; 713-524-2235; Tuesday through Sunday 11 am to 9 pm, Monday 11 am to 5 pm.